It is with great sadness that St George’s University (SGU) mourns the loss of John Zabriskie, who passed away last month at the age of 88 at his home in Florida. A distinguished emeritus faculty member of Rockefeller University for nearly 60 years, Dr Zabriskie in collaboration with the Windward Islands Research and Education Foundation (WINDREF) and local paediatricians had a profound impact on the reduction of rheumatic fever in Grenada. Born in Switzerland, Dr Zabriskie was a 4th-generation physician, with all of his forebears practising in New York City. He studied how the immune response to bacterial infections can lead to secondary autoimmune disorders. His particular interest was in rheumatic fever, a damaging complication of streptococcus infection. Although the disease is now rare in the US, it remains a major problem in developing countries where many infections go untreated. 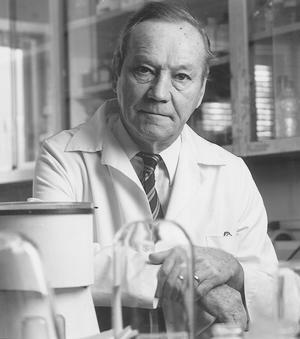 He made the pivotal discovery that the antibodies made by the immune system in response to streptococcal infections also react with heart tissue, often leading to permanent heart damage. In later work, he found this same antibody can also penetrate the central nervous system, where it can damage the basal ganglia and cause Sydenham chorea, a disorder of involuntary movement, or other debilitating conditions. Still later, he worked to understand the role of antibodies in rheumatoid arthritis, multiple sclerosis, and other autoimmune disorders. Dr Zabriskie’s work has had an enormous influence on public health. 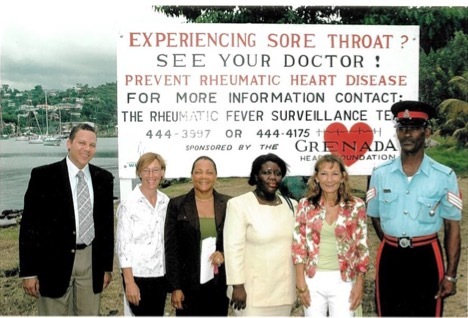 In the 2000s, his partnership with WINDREF resulted in the rates of rheumatic fever plummeting in response to his collaborative efforts to better educate parents and physicians on the importance of seeking prompt treatment for strep throat, in Grenada and St Vincent and the Grenadines. This was one of WINDREF’s earliest collaborative projects with Rockefeller University. Dr Zabriskie’s research also led to a screening test, still in use today, for neurological disorders in children that may result from a strep infection. Dr Zabriskie attended Princeton University and received his MD from Columbia University. He was a great scientist and will be missed by his colleagues at WINDREF and St George’s University.